Milk created the visual effects for “Nora Inu”, episode seven of Netflix adaptation of Richard K. Morgan’s seminal cyberpunk thriller Altered Carbon. Set 500 years in the future, the 10-part series takes place in a world where the human consciousness can be stored digitally—allowing the wealthy to live forever as they download themselves into new bodies. The story follows a revolutionary-turned-P.I. named Kovacs, played by both Will Yun Lee (The Wolverine) and Joel Kinnaman (Suicide Squad), who finds himself uploaded into the “stacks” and downloaded into a new body against his will centuries later to solve the murder of the former body of a billionaire. 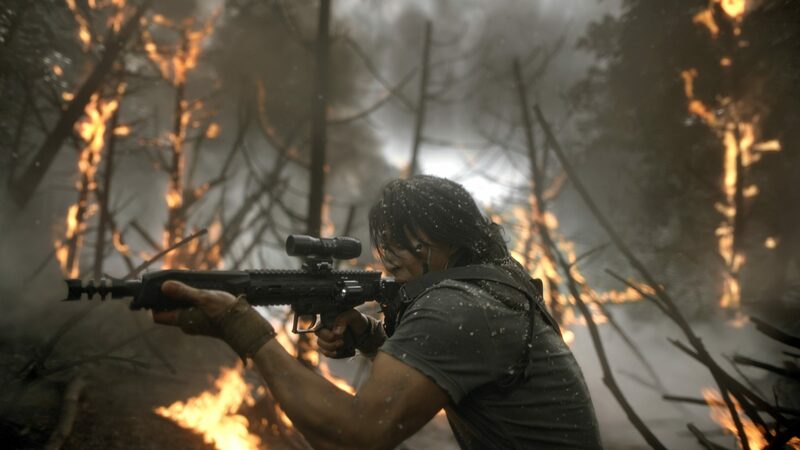 Altered Carbon premiered on Netflix on February 2 2018. 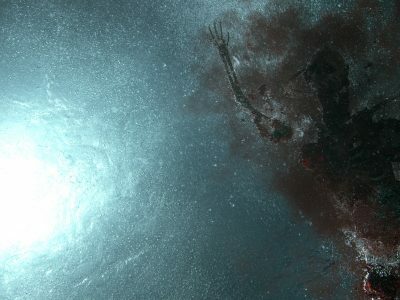 VFX Supervisor for Milk Visual Effects: Nicolas Hernandez.. 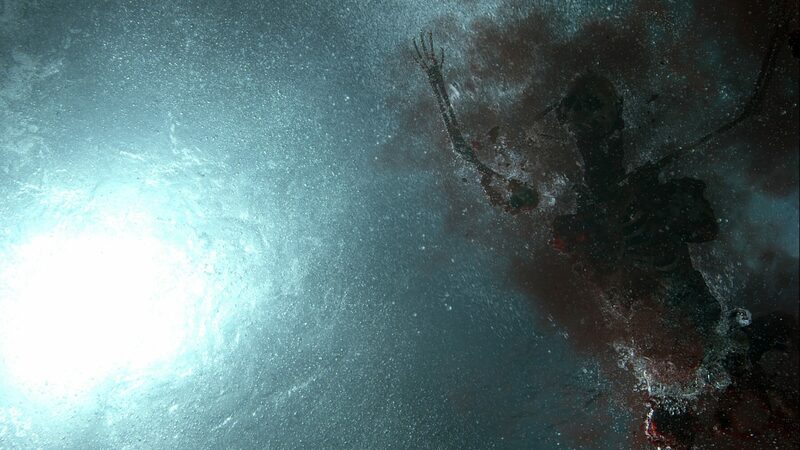 The Milk team created 70 visual effects shots, overseen by VFX Supervisor Nicolas Hernandez. 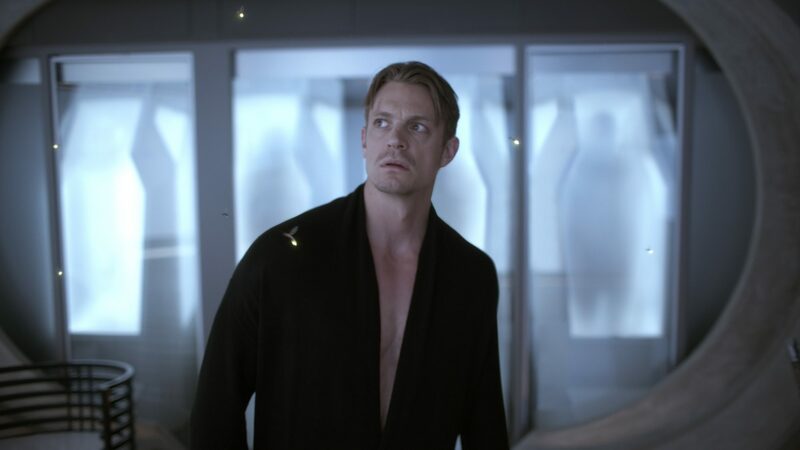 Altered Carbon episode seven reveals the protagonist Kovacs’ history in a series of flashbacks. 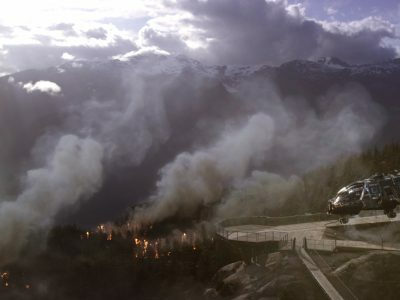 The VFX focus was the forest fires and the aftermath of fire-bombing of the forest, with shots both within the forest and aerial shots. 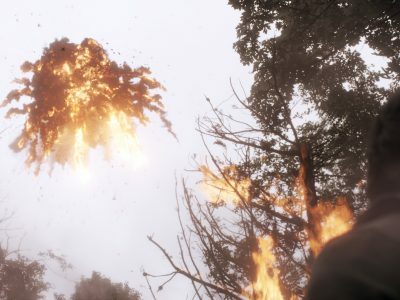 Milk also created the look for the escape spaceship; the alien planet landscape; CG alien fireflies and a variety of 2D work across the episode. 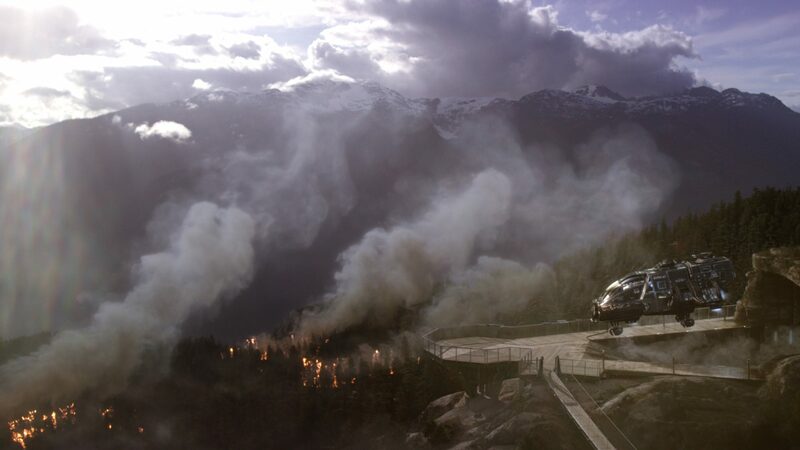 A large area within the forest needed to be on fire, which could not be achieved practically. 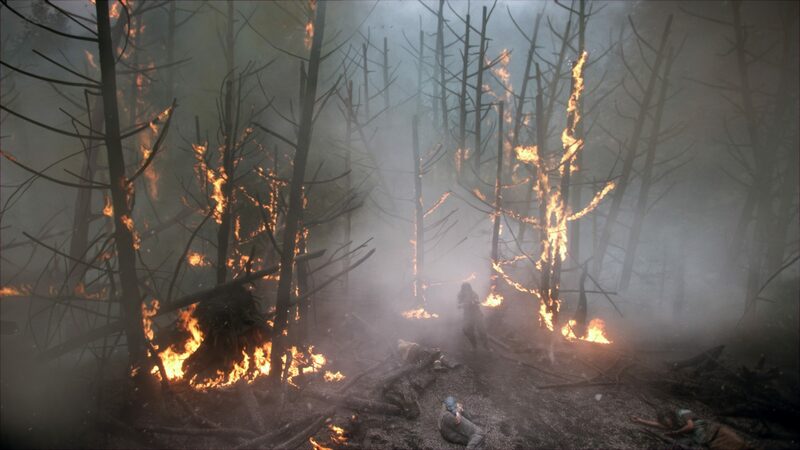 Prosthetic trees on fire were therefore shot in an area just two metres square, on location within a forest, with a smoke machine to enhance the smoke. 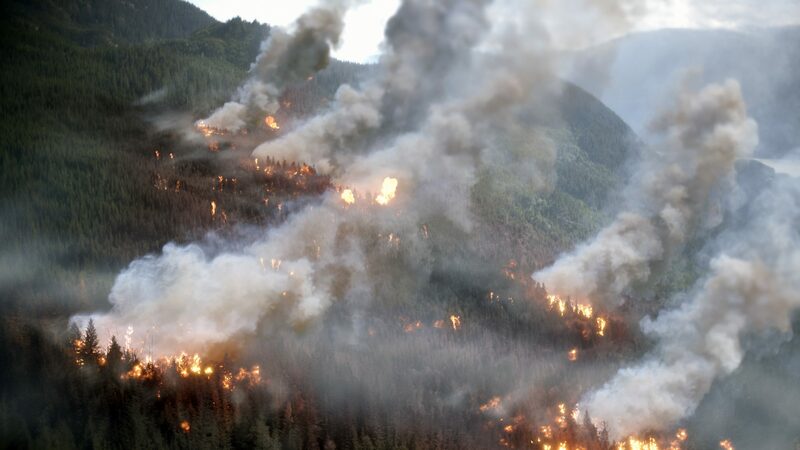 Milk added burning trees to replace swathes of healthy trees and blended them with the original plate and live action fire. 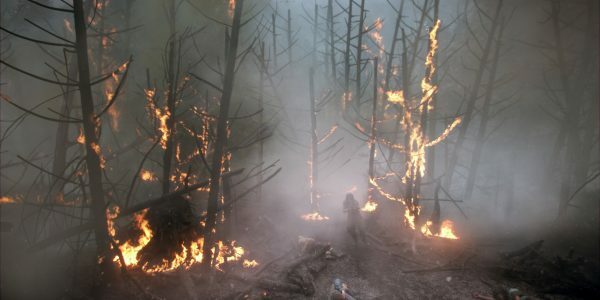 To create the fire in the forest foreground and background, Milk created CG trees as part of a forest environment asset. We created ten tree variations; each tree had a looping fire simulation. Then we laid out the CG tree trunks within the live action for each shot and rendered them. Smoke, fire and atmospheric falling ash FX were added to this afterwards as another layer. One of the unexpected challenges was tracking the original plate without any tracking markers. 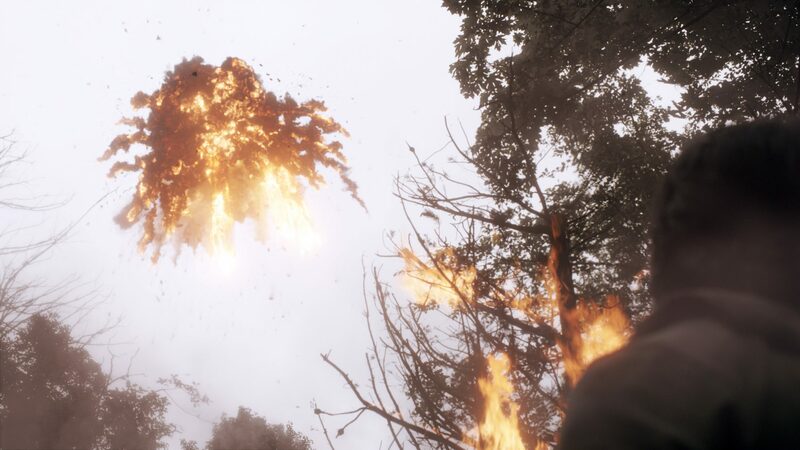 For all the wider angle aerial shots of the forest in the aftermath of the firebombing, Milk created fully 3D simulated fire and smoke as the forest blazes. Milk added to the client’s basic design of the spaceship; modelling the ship asset, and tweaking the design, adding a battered look as well as the smoke underneath as it takes off. The team then created the explosion effects as the spaceship blows up. 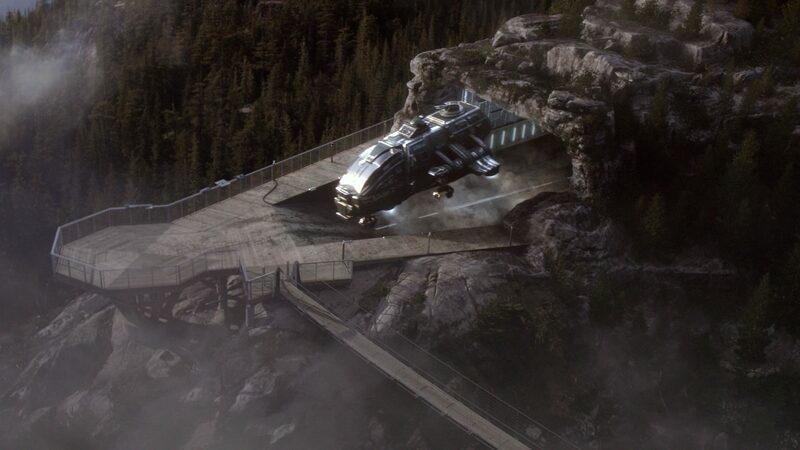 Milk also composited a background sky plate – shot using a drone over the forest and mountain area – into the spaceship windscreen view, for the shots showing the interior of the spaceship. The cave, which the spaceship exits from, was also created by Milk, using an existing location for the back plate [forest and suspension bridge seen in the episode] A ‘hologram effect’ was added to reveal the spaceship emerging from the secret cave. 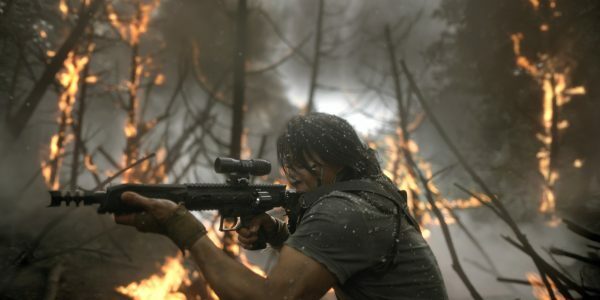 The surrounding environment had forest fire and smoke effects applied to fit the continuity of the scene. During the flashback showing Kovacs and Reileen as children, and later when an older Kovacs is hallucinating, we see multiple fireflies in the nighttime environment. The team modelled the firefly asset and added glow. For each required shot these were animated to fly around Kovacs and Reileen. Milk added a 2D explosion when Kovacs shoots his father in the ‘stack’, killing him. This needed to be different to a normal blood hit, as electrical sparks were emitted too to show that the ‘stack’ (containing their data) was being destroyed. Milk was supplied with a plate of the child and added the tank on top of the child – so that he appears inside the tank in the finished shot. Milk created 70 VFX shots using Maya, Arnold, Houdini, Mari and Nuke. The Milk VFX Supervisor was Nicolas Hernandez with Natalie Reid as VFX producer, Henning Glabbart as 2D Supervisor. The team worked closely with client side VFX Supervisor Everett Burrell.